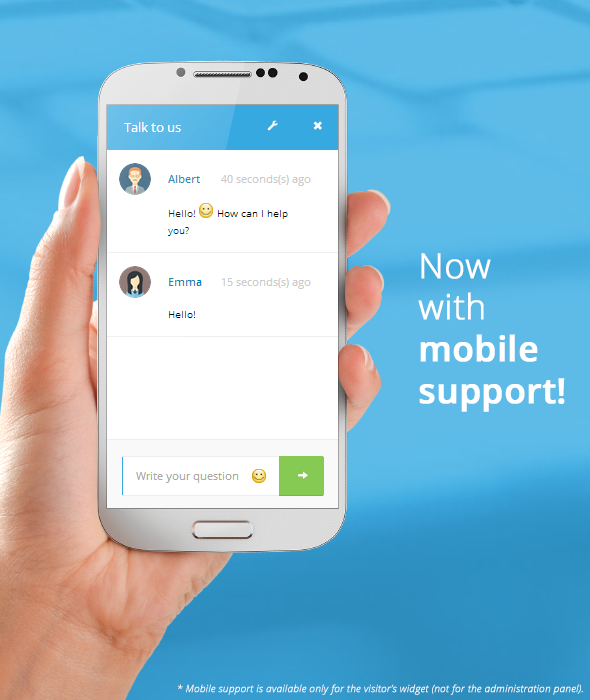 Real-time chat without monthly fees! See how easy it is to install the plugin and check out it’s main features in this video tutorial. Don’t let your visitors feel left alone with their problems — chat widget will provide a contact form fallback whenever you happen to be off-line. Like it? Pay once, use forever!